Nigeria's President, Muhammadu Buhari has dismissed the endorsement of the presidential candidate of the Peoples Democratic Party, PDP, Atiku Abubakar as 'Chaff'. 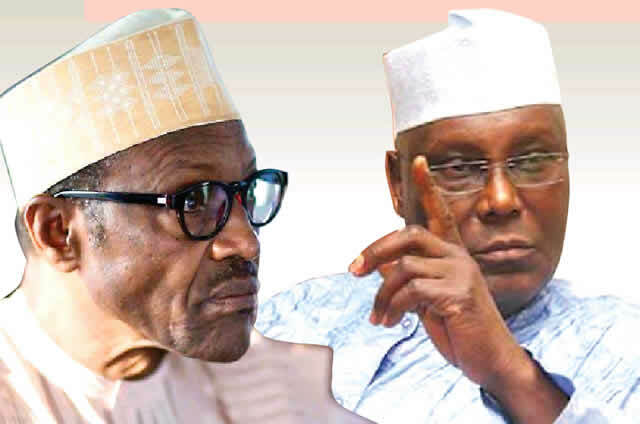 NairaNaijaNews gathered that Buhari revealed that many well-meaning Igbo leaders asked him to ignore the so-called endorsement of Atiku by Ohanaeze Ndigbo adding that the action by the group was all gas, lacking substance. The President made this comment on Friday at the Presidential Villa while hosting a group of Igbo leaders in Abuja, who pledged to mobilise votes for him in next year’s election. He disclosed that he got calls from well-meaning Igbo leaders asking him to disregard the endorsement. “From that moment, I knew that the resolution would not stand, and alas, there it was,’’ he added. He also praised his party, the APC saying: “We have done so much. Given the chance, we will do more. Given every chance, we will tell Nigerians where we were in 2015 and what we have achieved up to now. “The state of infrastructure we inherited was terrible – no roads, the railway was killed and power. They lacked conscience because anybody with conscience will not do what they did. “We will report them to Nigerians. Let anybody lead this country but not the PDP.